Improve Your Skins Complexion, Clarity While Also Reducing the Visibility of Dark Spots With a Chemical Peel at Ariba Medical Spa! 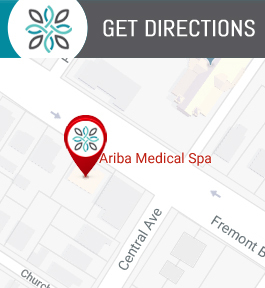 We are the Best Med Spa in the Silicon Valley so Don’t Wait & Schedule an Appointment Today. We are Conveniently Located at 37553 Fremont Blvd, Fremont, CA 94536. The RevePeel is safe, effective, and virtually painless, removing years of damage in just one week.The highly effective peeling acids penetrate into skin with a revolutionary oil-blended delivery system which applies evenly and reduces the risk of inflammation. The top layer of skin is exfoliated in sheets over 7 days, revealing a beautiful new skin. The high-end micronized silver post-care homekit ensures rapid healing at home. RevePeel is the only peel with targeted treatment on hyperpigmentation, melasma and acne from day 2 of the peeling process to deliver remarkable results that will wow everyone! The RevePeel is applied in our office where we monitor and adjust it for 45 minutes. Afterwards, it stays on your skin for 2 to 4 hours with the REVESKIN™ post-care kit, to take care of your skin during the following week. You should expect 1 to 2 days of looking like you have mild sunburn, followed by light peeling after 48 hours, then heavy peeling on days 4 to 6. Afterwards you’ll see fresh, beautiful new skin. Post care instruction should be strictly followed to take care of your new and sensitive skin, especially in the first 28 days after the peel. You won’t believe your own reflection in the mirror.